Did you guess this is what was coming? 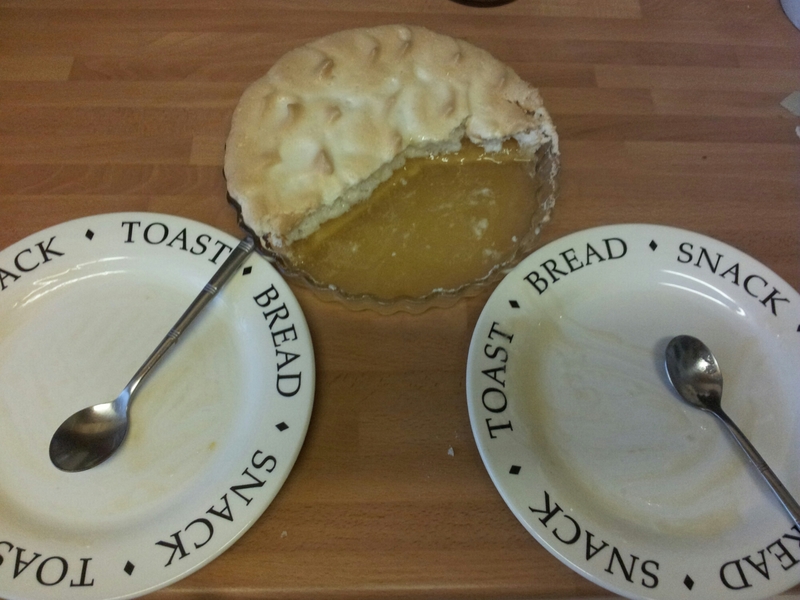 I’m sure you did, it was a pretty obvious next step after meringue and then lemon curd! I’ll admit right now that this post is a bit of a tease as I’m not including a recipe or method just now, for reasons that will become clear. However I’ll be back with one soon! It all started out so well: I had little brother asleep on my back in the wrap, big brother helping out as only a toddler can (ie pulling things out of drawers and cupboards and intermittently demanding toast…). The pastry was made, chilled and blind baked with no problems. I spooned in the lemon curd, licked the spoon, life was good. Then I thought I’d experiment and I think that was the problem. 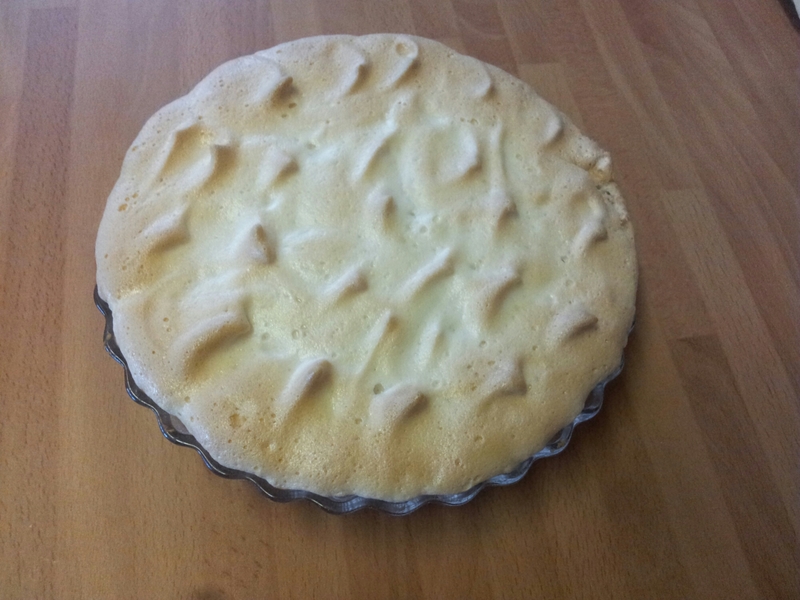 I tried an Italian version of the meringue recipe and added hot sugar syrup to the whipped chick pea water, but I think all that happened was it made the meringue too wet and gooey. 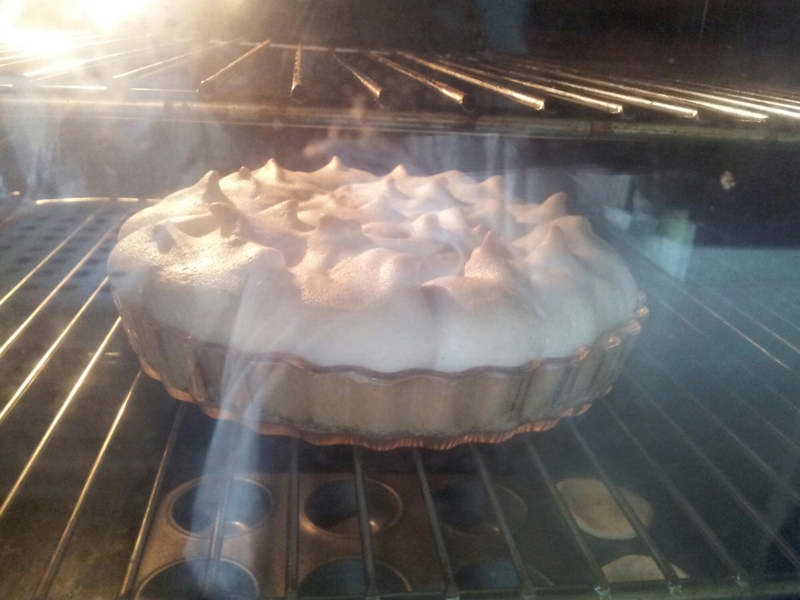 But I topped the pie and popped it in the oven, keeping my fingers crossed. It certainly looked the part! So I shall have another go and when I’m happy with my method I’ll share it with you. Anyone else got a delicious baking experiment/mishap they want to share to make me feel better? !